One of the perks of being a pope, at least as far as we’re concerned, is that automakers from all over the world trip over themselves in hopes of being given the honor of developing a popemobile for the leader of the Catholic church. Over the years, we’ve seen many different versions of the vehicle, ranging from limousines, sedans, pickups, SUVs, buses, and yes, even sports cars. I’m bringing this up because our current pontiff, Pope Francis, was given an all-electric Opel Ampera-e by the French manufacturer. 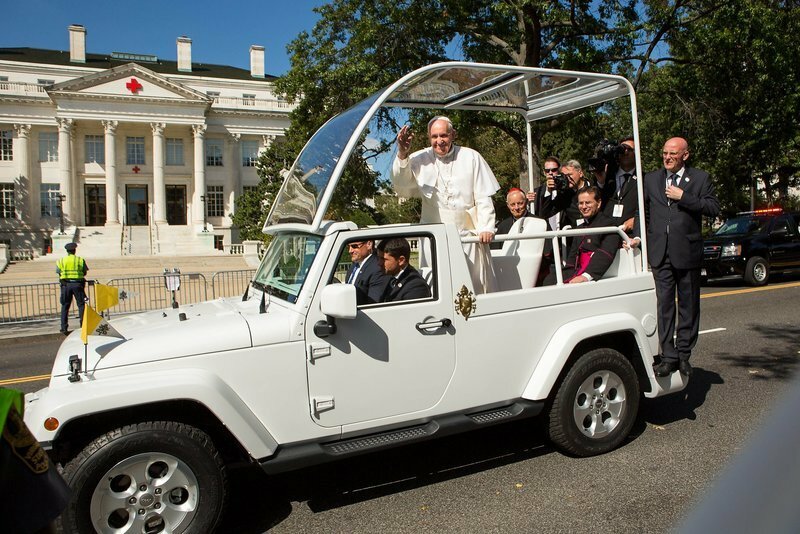 It’s not technically a popemobile in the traditional sense, but it did provide the idea of doing a brief look at the history of the popemobile, from the portable thrones that we’re used in the 1800s to the eclectic variety of cars that are being used today. Technically speaking, the term “popemobile” wasn’t coined until the rule of Pope John Paul II in the late 20th century. Before that, it was referred to in a number of different names, the most prominent of which was sedia gestatoria, or Italian for “chair for carrying.” Regardless of the etymology of its name, the long list of vehicles tagged as popemobiles paints an interesting picture on their variety, how they’ve evolved over time, and most importantly, the stories that come with some of them. What was the first popemobile? According to the Washington Post, the popemobile’s ancestor dates back to the long before any of us were alive. One of the earliest modes of transportation was used in the pontificate of Pope Leo XII from 1878 to 1903. It was at that time where the aforementioned sedia gestatoria was still in vogue. So while they are considered as predecessors to the modern-day popemobiles, the fact that they didn’t have any wheels disqualifies them from our consideration as a popemobile. So when did the first popemobile arrive? 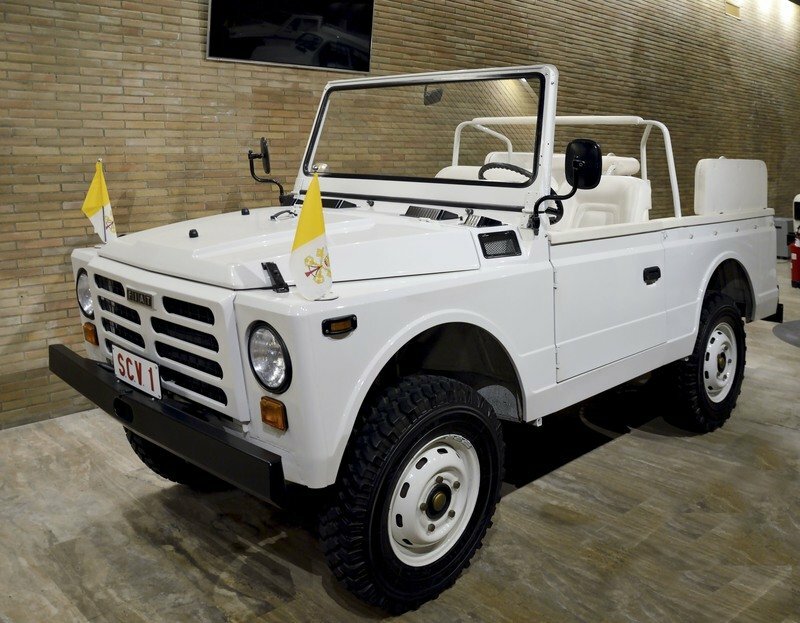 Where are the classic popemobiles now? I can’t identify where each and every one of these old popemobiles are, but I do know that a lot of them, including the old throne chairs and the 1973 Fiat Campagnola are housed in the Pavilion of the Carriages, a branch of the Vatican Historical Museum in the Vatican. What’s so significant about that 1973 Fiat Campanogla that it found its way into the Vatican Historical Museum? This was the popemobile that was being used by Pope John Paul II when an assassination was attempted on him. This took place on May 13, 1981 in St. Peter’s Square. Does the Vatican have a preferred automaker to build its popemobiles? No, the Vatican does not have a preferred automaker, but history has shown that among all of the automakers in the world, Mercedes-Benz holds the distinction for having built the most popemobiles. 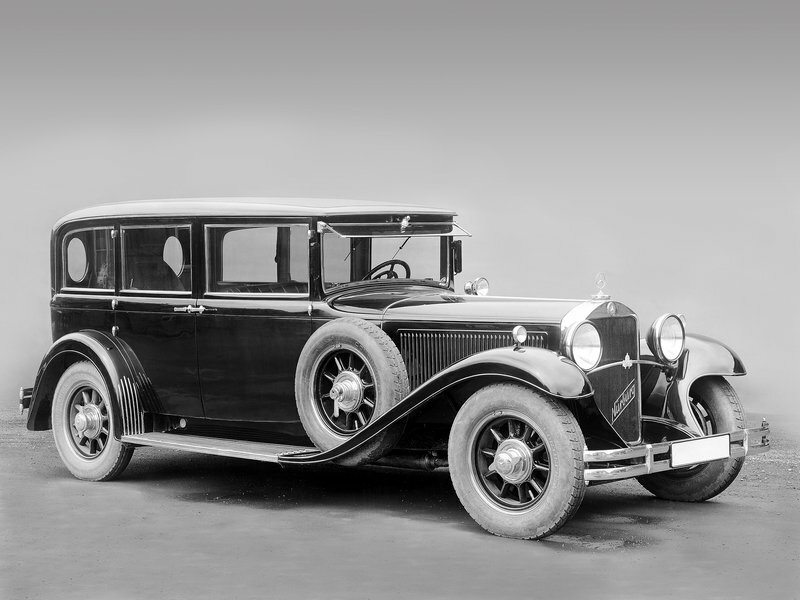 Consider that the German automaker began giving these cars to the Vatican in 1930 and still does to this day. That’s almost 90 years of tradition and in that time, we’ve seen some pretty interesting Mercedes-developed popemobiles over the years. 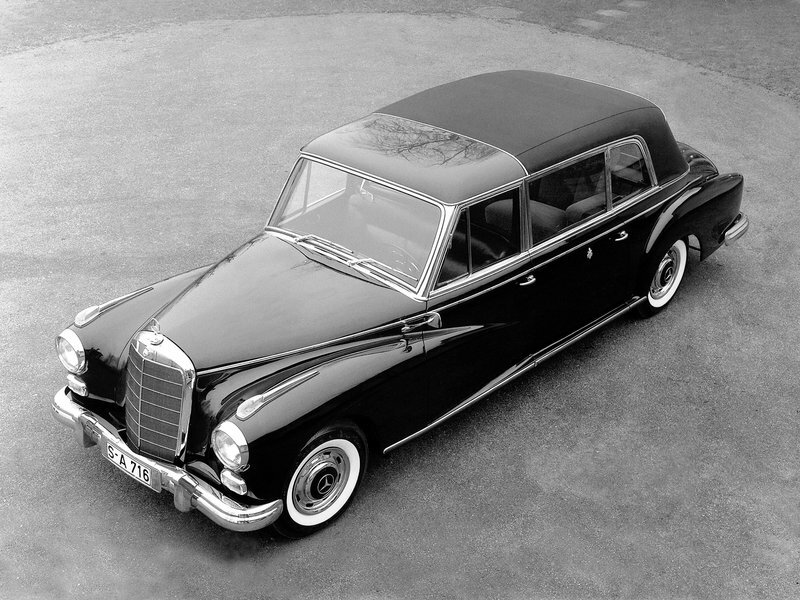 Pope Paul VI, for example, used a 1965 Mercedes-Benz S600 Pullman while Pope John Paul II used a great number of Mercedes popemobiles, including a 1980 Mercedes 230-G, a 1985 Mercedes 500 SEL, a 1987 Mercedes 608 box van, and a 1997 Mercedes S-Class Convertible. Who are the other car brands that have built popemobiles? There’s a lot of them, actually. 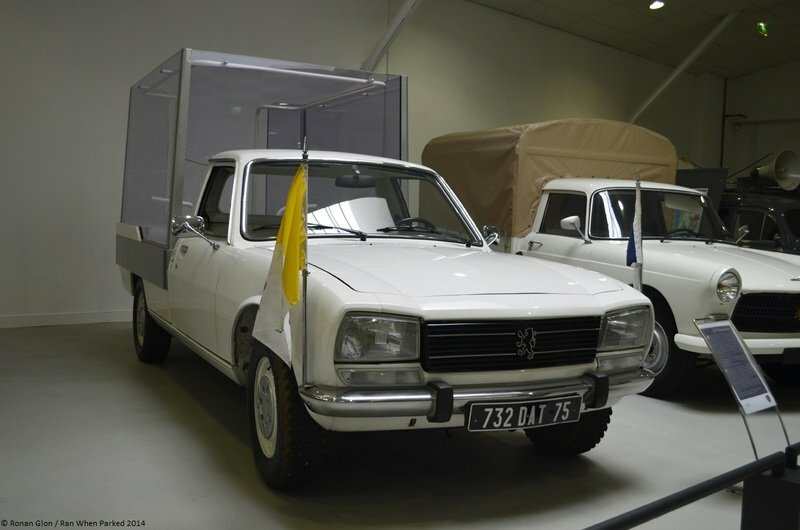 Not counting the classic popemobiles, car makers like Ford, GMC, Peugeot, Citroen, Land Rover, Kia, Jeep, Hyundai, and Isuzu have all built different iterations of popemobiles in the past. Are there supercar brands that have built popemobiles, too? Yes and no. Yes, because Pope John Paul II once used a 1988 Ferrari Mondial during a visit to Maranello. No, because the Mondial actually wasn’t spec-built to be a popemobile like the others. PJP II just opted to ride in one as opposed to the traditional popemobile parade. In fairness, he did look good in one. Wait, didn’t Ferrari give Pope John Paul II a Ferrari Enzo? This is a little bit of a tangent, but yes, the Prancing Horse gave the pope a Ferrari Enzo. 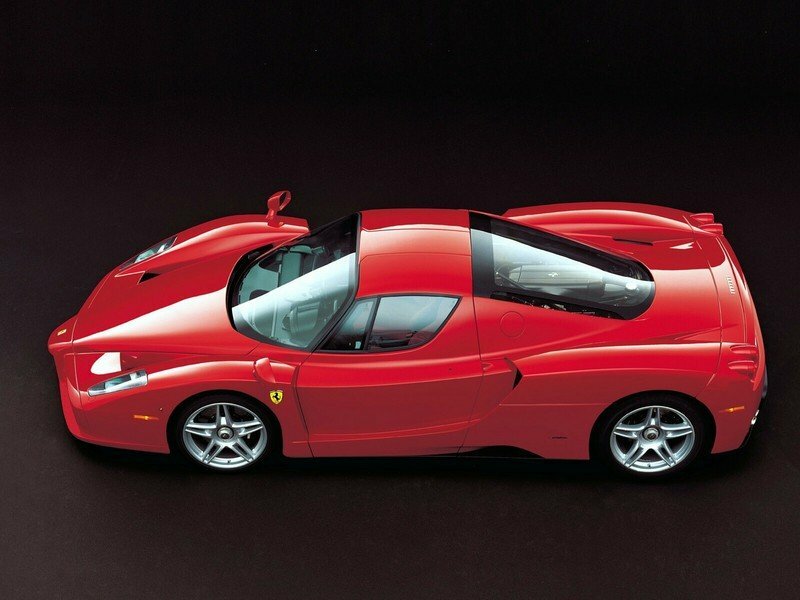 Obviously, PJP II politely declined the extravagant gift and instead requested Ferrari to auction off the Enzo with the proceeds going to the victims of the 2004 tsunami in Indonesia. What’s the strangest popemobile ever used? The answer varies depending on who you ask. Some might find actual trucks as weird, in which case there is a number of them that have been used as popemobiles. 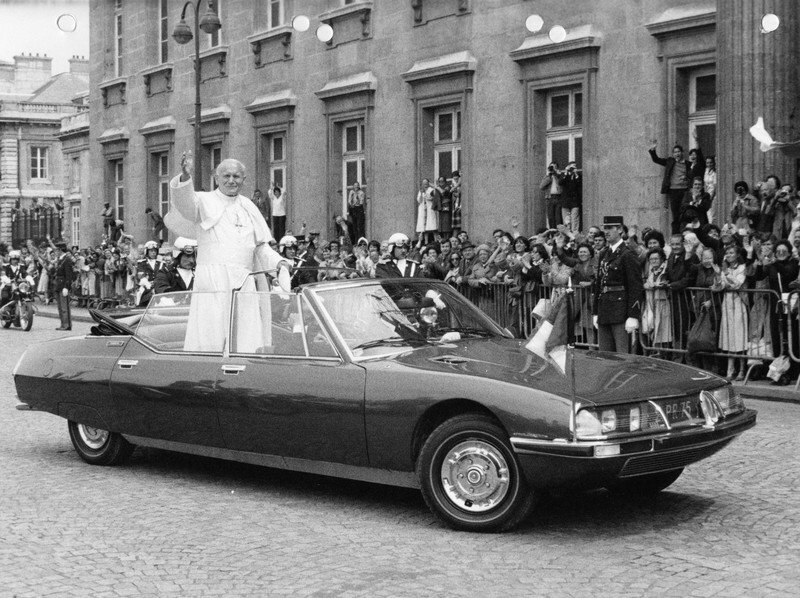 Pope John Paul II famously used a 1979 FSC Star during a trip to Poland at a time when the Soviet Union controlled it. 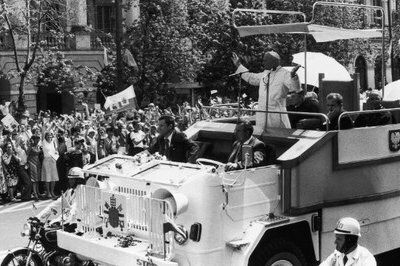 In the same year, PJP II also used a 15-ton Ford D-Series Transit truck in what many regard in a tongue-in-cheek manner as the “unholiest” of all the popemobiles that have been built. And since we’re talking about trucks, I’d be remiss if I didn’t include the 1982 Leyland Constructor that PJP II used during a visit to the United Kingdom. Imagine the sight of the pontiff sitting on top of a 24-ton truck. Better yet, you can actually sit on the same chair that the pope sat on since the same truck that was used as a popemobile is now at the British Commercial Vehicle Museum in Leyland, England. Other than trucks, past popes have also used limousines and buses. Pope Paul VI was chauffeured around New York in a 1964 Lincoln Continental while Pope John Paul II was driven around Mexico City in an actual bus. But the winner for strangest popemobile ever used has to be the jeepney. No, not Jeep, the automaker. I mean jeepney, as in the popular public transportation vehicle used in the Philippines. Pope Francis actually used a popemobile that was fashioned from a jeepney during his visit to the country in 2015. Needless to say, the “pope-jeepney” followed protocol by having a clean white body finish as opposed to the boisterous and flamboyant colors most jeepneys in the Philippines have. Apart from being sent to museums, have any of these other popemobiles been used in some form or fashion after it was used by the pope? Yes, and you’re going to enjoy the story behind this one. 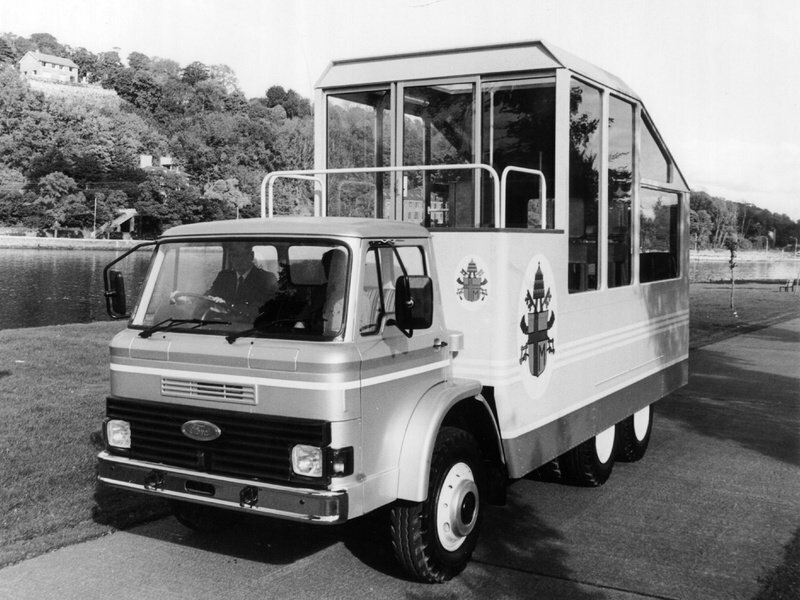 Remember the 1979 Ford D-Series Transit truck that Pope Joh Paul II used on his trip to Ireland in 1979? Well, it was refashioned three decades later into, of all things, a party bus of sorts that specifically catered to bachelor and bachelorette parties. Can we expect an all-electric popemobile in the future? 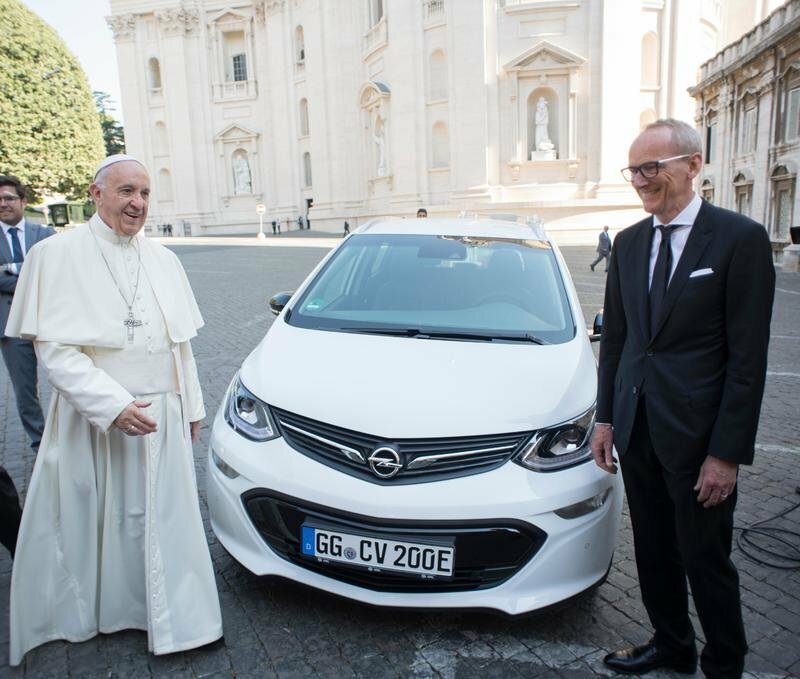 It’s unclear if Pope Francis plans to use the Opel Ampera-e that was just given to him by Opel CEO Dr. Karl Thomas-Newmann, but with the road the auto industry is going driving along, I think it’s more of a question of “when” we’re going to see an EV popemobile as opposed to “if” we’re going to see one.